At an event in Hawaii on Tuesday, Microsoft announced the launch of the world's first 'Always Connected' PCs, running Windows 10 on ARM-based Qualcomm SoCs. 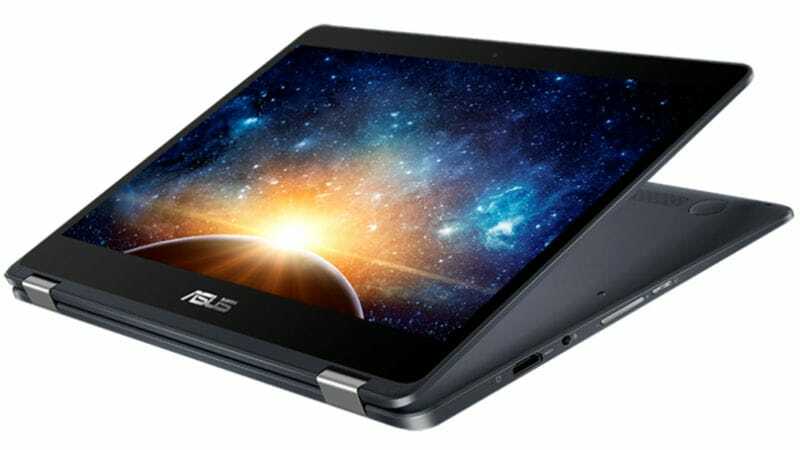 Microsoft Executive Vice President of the Windows and Devices Group Terry Myerson showed off the first-ever Always Connected PCs from Asus and HP. These new laptops will offer built-in LTE connectivity and longer battery life than x86 PCs. Powered by Qualcomm's Snapdragon 835 SoC and ARM architecture, the Always Connected PCs are being regarded by Microsoft as the next big revolution in the tech industry after the original laptop and virtual reality. The tie-up with Qualcomm was announced back in December last year, is particularly interesting because Microsoft has earlier collaborated mostly with Intel and AMD to manufacture x86 chips for its partner products. The first one in the new range, the Asus NovaGo, will be the world's first Gigabit LTE convertible laptop. Furthermore, the NovaGo also claims to offer a good 30-hour resting battery life and 22 hours of active usage with its 52Wh battery. The second PC launched in the new range is the HP Envy x2, which is yet another convertible that offers a 20-hour active battery life along with state-of-the-art built-in 4G LTE connectivity. Both run Windows 10 S and sport the Qualcomm Snapdragon X16 LTE modem. The Asus NovaGo is powered by the Qualcomm Snapdragon 835 mobile processor, coupled with 4GB or 8GB of RAM and 64GB, 128GB, or 256GB of Universal Flash Storage. The PC also has two USB 3.1 Gen 1 Type-A ports, and one HDMI port. The NovaGo runs on Microsoft Windows 10 S that brings new features like Windows Ink, Windows Hello, and Cortana. It weighs 1.39kg and measures 316 x 221.6 x 14.9mm. eSIM and Nano-SIM options will be available. The HP Envy x2 is also powered by a Qualcomm Snapdragon 835 SoC that is complimented by 8GB of LPDDR4X PoP RAM and up to 256GB of internal storage. The Envy x2 is fanless and has a thin and light CNC Machined Aluminium tablet that is 6.9 mm thick and weighs just about 1.54 lbs (0.7 kg). The backlit keyboard has a 1.3mm key travel for a smooth typing experience in any lighting condition. The Asus NovaGo has a 13.3-inch full-HD display while the HP Envy x2 incorporates a smaller 12.3-inch WUXGA+ display that makes it better to use as a tablet. A blog post by Microsoft on the launch of these laptops reveals that the display is optimised to turn on instantly as the user lifts the lid. "Once you start using this new category of PCs that are instantly on, always connected with a week of battery life and the full Windows 10 experience, you can really feel what a big shift this will be for consumers." said Terry Myerson in the blog post. Asus had not revealed availability, but has revealed pricing - the 4G RAM and 64GB storage model will cost $499, while the 8GB RAM and 256GB storage model will cost $799. HP on the other hand has released availability of Spring 2018, but no pricing. All we know is that they are expected to run a modified version of Office 365. Microsoft will release other details in the coming weeks. A third model in the Always Connected PC range is also in the works. Microsoft says that Lenovo is the partner manufacturer making this one, which is all we know about it currently. Briefly after the Microsoft announcement, Snapdragon and AMD announced a partnership to power Always Connected PCs. This could see laptops featuring AMD's Ryzen Mobile processors shipping with Snapdragon LTE modems.